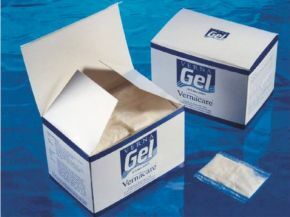 Vernagel is designed specifically to cope with bodily fluids, trapping them in a dry, semi solid gel that is convenient and easy to dispose. It minimises residual odours and reduces the risk of cross-infection. It is designed to soak up bodily fluids, such as blood, vomit or urine, and can be used in a urine bottle before use or straight onto a floor spillage. Box contains 100 x 6g Sachets.